Hello RGL fans! The update is a bit late this week, but then it will need to get you through next week too, thanks to the joys of Croydon Fun Weekend! If you don't know Croydon Fun Weekend, then why not go to Croydon and have fun? So last time I did an update, the featured article was Deli Felice. Well this week, it's a cafe called Le Felice, SE13 7UZ in leafy Ladywell. Expect French food, bare boards, wooden chairs, and a pleasant environment to do some work. Also, it's in a former pub building. Our one new addition is Brown and Green, a cafe at Crystal Palace station. You may need extra cranberry. There's a significant update to the entry for The Liberty Bounds, a Wetherspoons at Tower Hill which has true pies. Finally, The Beagle by Hoxton station has closed! Or it may have closed! We're not exactly certain. 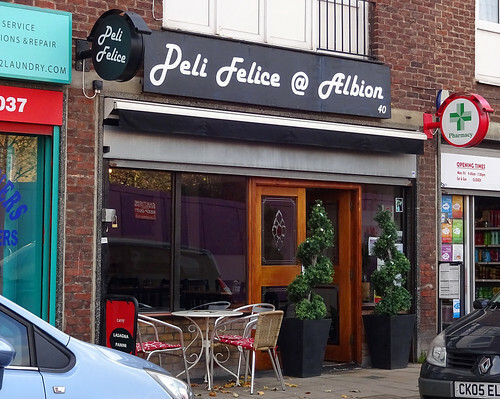 This week's featured article is Deli Felice, SE16 7JQ in Rotherhithe, a small space showcasing a frequently changing roster of local artists. Sounds pretty good and you may even find yourself not objecting to dried oregano. We have updates! Three updates! 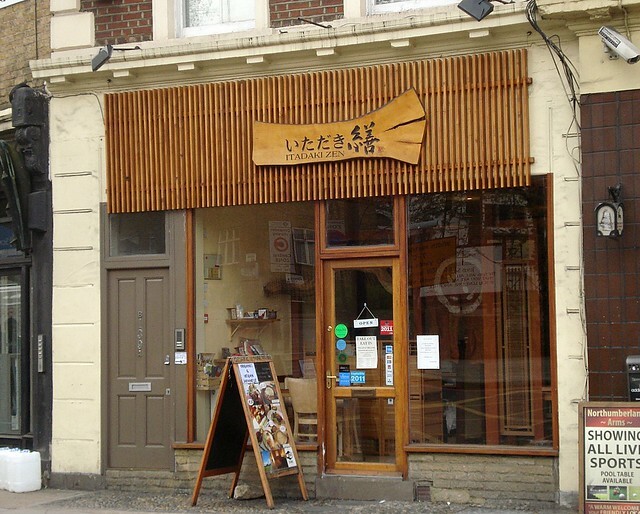 There's Pearl Liang, a dim sum place near Paddington (still good!). There's Bridge Hotel in Greenford (still there). And there's The Orange Tree in Richmond (still probably best to avoid when there's rugby on). 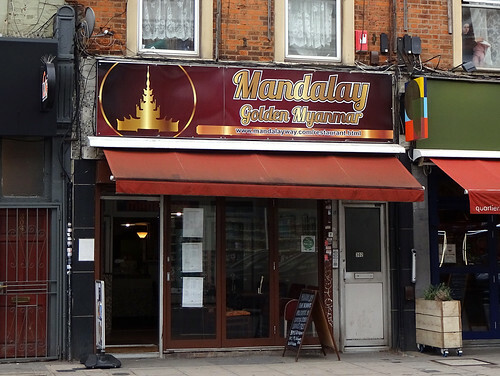 Four reported closures though: Good Taste, a very good deli in CryPal, sadly missed; Kensington Roof Gardens in, er, Kensington; Rio's Britannia Cafe in Norbury; and Bunga Raya in Thornton Heath. Welcome back to another week of Randomness. This week's featured article is The Mitre, TW9 1UY. 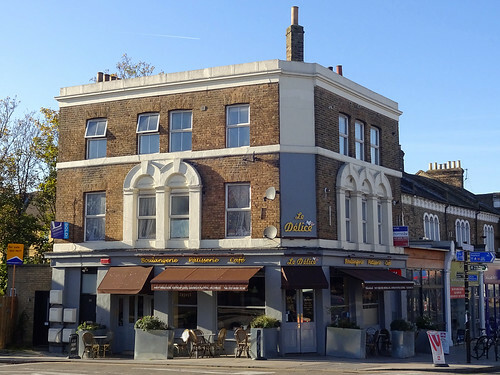 We're calling this as North Sheen, but apologies if you don't believe that area exists: the map shows it, and this pub is near the station of that name, so don't @ us. It entered the Good Beer Guide this year, and I'm assuming the 14 handpumps had something to do with it, but it sounds rather nice. Our one new article is Polish Kitchen, a cheerful Polish restaurant in Cheshunt. Go for the pierogi. 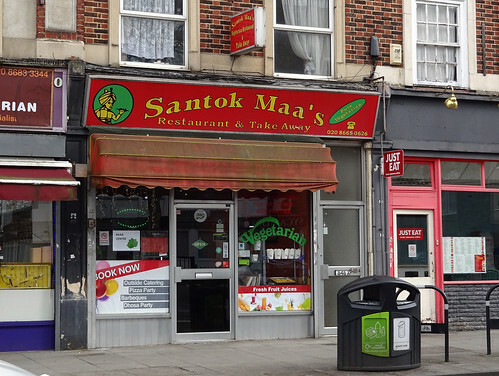 Three significant updates: confusing pricing at The Green Dragon in Croydon; pricy lime and soda at The Camel and Artichoke by Waterloo (and if you're getting your soda from a big bottle you've bought down the local shop, it shouldn't cost more); and low prices at Mamuska! in Elephant and Castle, which thankfully is not the Polish food equivalent of that recent film Mother! (or maybe it is; I've not seen the film). 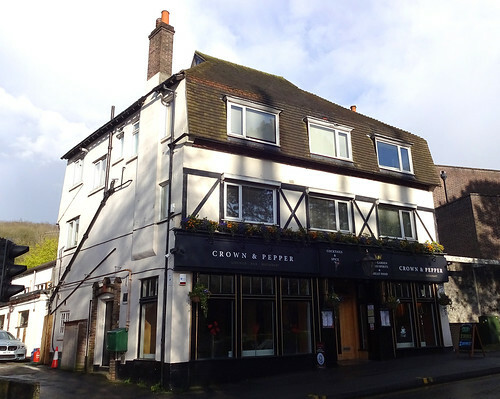 Finally, the reported permanent closure of The Grape and Grain in Crystal Palace, a large corner pub which had been looking a bit empty for a while. 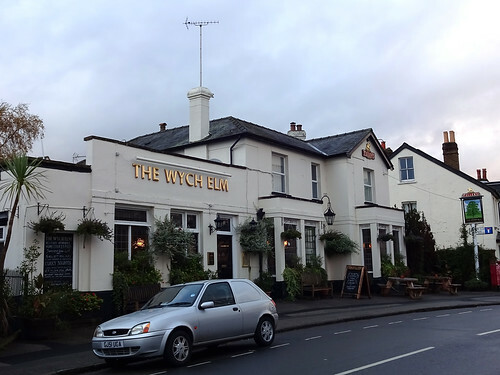 Apparently owned by Wetherspoons but looks like it may not open as one. 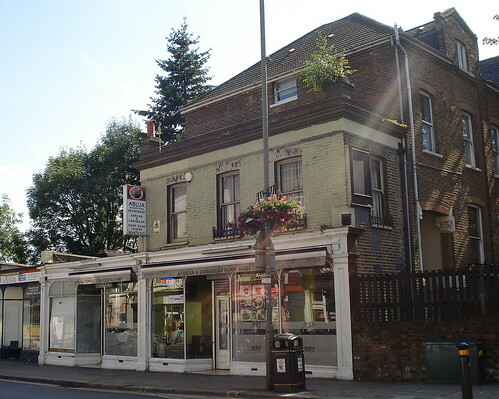 So the featured article this week is Four Hundred Rabbits, SE19 3AH, which is a pizza restaurant in delightful Crystal Palace (or maybe Upper Norwood if you're historically so inclined). It's a top place for all your sourdough pizza, gelato and craft beer needs. 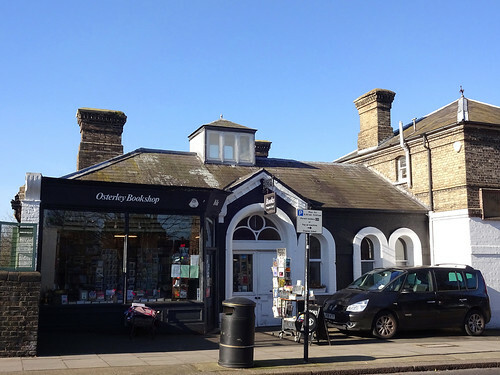 We also have a new entry for Osterley Bookshop, in that bit of West London known as Osterley, housed in a former rail station building! It's arranged in classic second-hand bookshop style, which is to say haphazardly. Don't take any book-murdering dogs, though the regular book-friendly variety are fine! 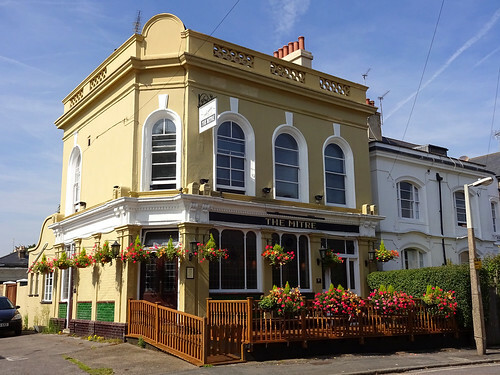 There's an update for Dartmouth Park boozer The Lord Palmerston. There are also two closures. 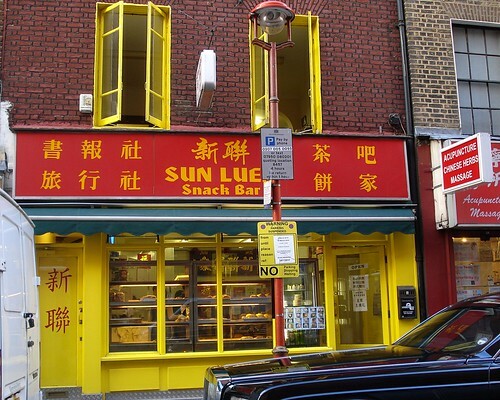 The first is possibly only temporary, Shanghai Blues in Holborn. The other is definitely permanent, Moti Mahal in Covent Garden. 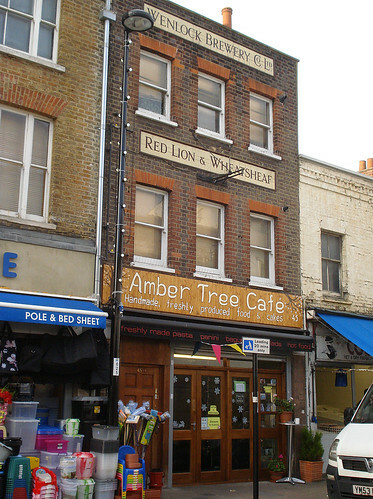 This week's featured article is the Amber Tree Cafe, SE8 4AD, a cafe in a former pub building on Deptford High St. Sadly there's not much of historical pub interest inside. Still it's a friendly (and child-friendly) place which does a fine banana cake. Two new articles this week. 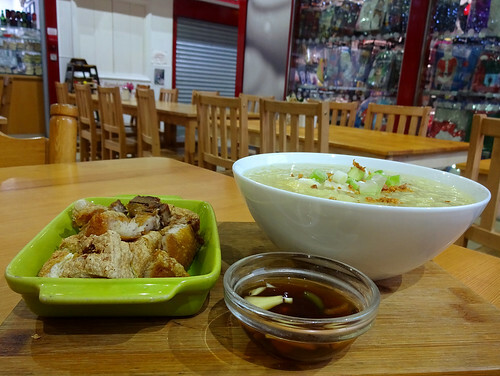 First off is Food House, an uninspiringly-named Northern Chinese and Sichuanese restaurant in Chinatown, cash only and with some interesting menu items. The other is Four Hundred Rabbits, going in a quite opposite direction re name, but offering good size sourdough pizza portions, craft beer and lots of gelato. 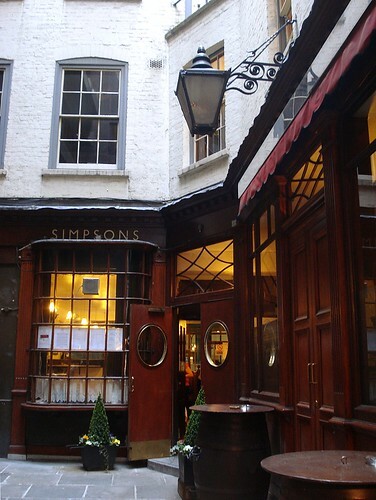 There's an update to the entry for one of Wetherspoons' finest pubs, The Knights Templar in Holborn. The four reported closures relate to Chinatown restaurants we've just caught up on: Jade Garden; Red N Hot; New Aroma; and Harbour City. Afternoon everyone, and Happy New Year! 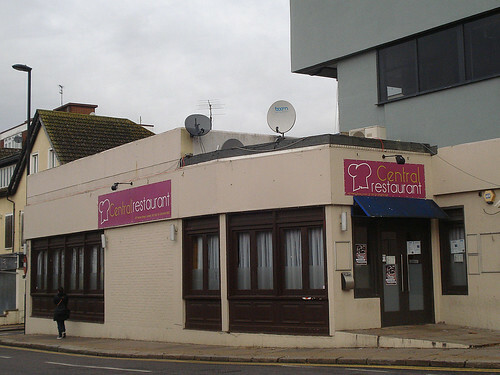 This week's featured article is for Central Restaurant in Finchley, serving Romanian and Eastern European food, including sheep pastrami and tripe soup! I know you've all been wondering how to get your 2015 off to a tripey start - where better than Finchley? 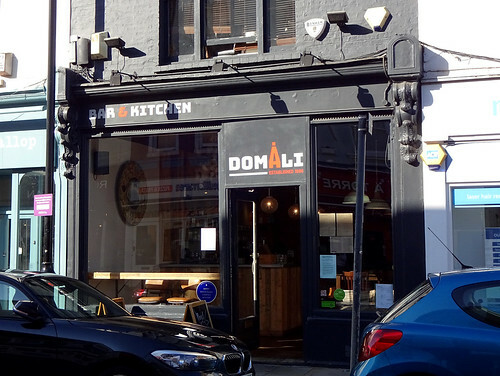 There's also a new article for Domali, a veggie-friendly cafe in Crystal Palace. They have vegan bacon, decent chips and feature work by local artists on the walls. You are unlikely to find tripe here. 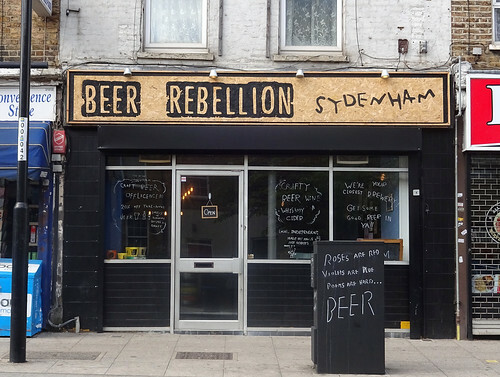 After last week's flurry of Good Beer Guide updates, it's a brief post today. 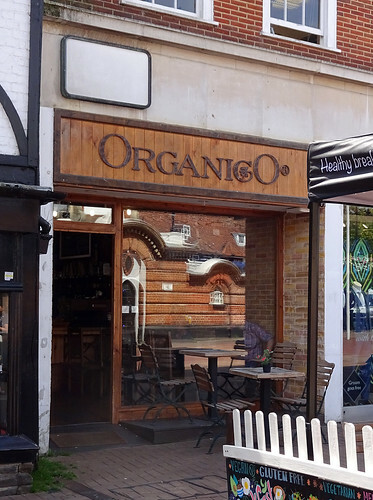 Our featured article is for Abuja Connection, a friendly Nigerian restaurant in Crystal Palace. It's down the hill from the station, although of course this means you have to walk back up the hill on your way home, full of tasty afang stew. 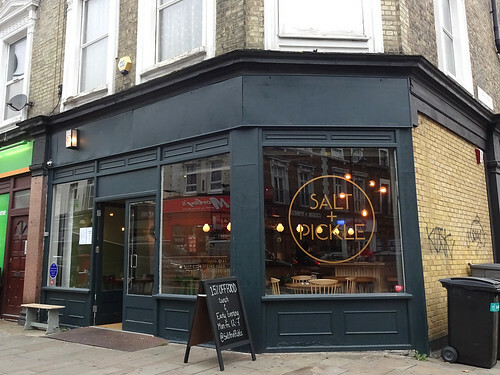 We also have one new article - regular readers will be amazed to learn that it's a restaurant in Marylebone! Aubaine is part of a small chain doing reasonably-priced if unremarkable French cuisine. Do try one of the pastries though.